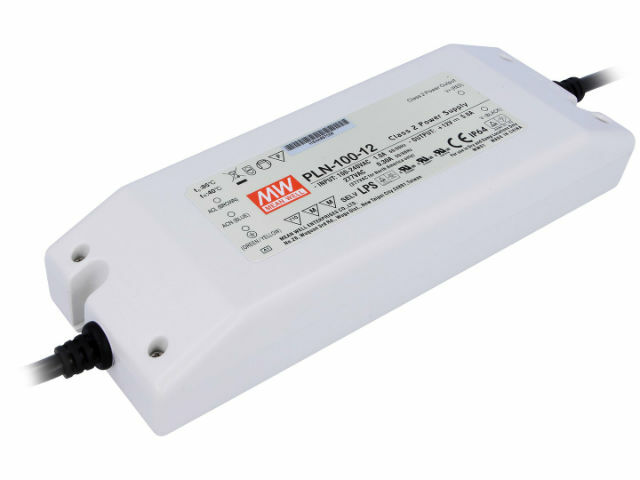 PLN-100-12 switching power supply unit from MEAN WELL is designed for driving LEDs. Plastic, insulated IP64-compliant enclosure is cooled by free air convection, which allows using the power supply both in indoor and outdoor applications. The power supply is useful in LED lighting systems and LED display boards.